Employees face many issues including sexual harassment, whistleblowing, work injury retaliation, discrimination and wrongful termination. Teitelman Law assists employees with these issues and advises employers so that they can best achieve business goals without infringing employees’ rights. Employment disputes can be resolved in a variety of ways. 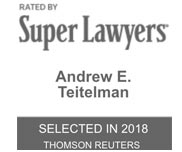 From mediation, arbitration, through administrative agencies such as BOLI and the EEOC, or through lawsuits filed in State or Federal courts, Teitelman Law has handled matters in each of these forums. 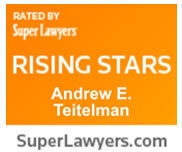 Employment attorney Andrew Teitelman assists employees with workplace legal issues and advises employers so that they can best achieve business goals without infringing employees’ rights. Discuss your case by calling 503-659-1978.